I used the bungie cords from HD with a plastic ball attached. They are called "Elastic Ties" or something like that, and are sold in an 8-pack for about $6. Break off the ball with a hammer, then untie the individually knotted ends, then tie them back together into a simple knot, thus forming a loop. Wedge the knotted part into the rear attachment part for the straps on the airbox, slide the little "keeper" down to secure it there, then hook the loop over the front. I also was looking at nylon straps with plastic locking clips. My local ace sells the nylon straps for about .75 cents a foot with an additional .50 cents for the plastic clips. 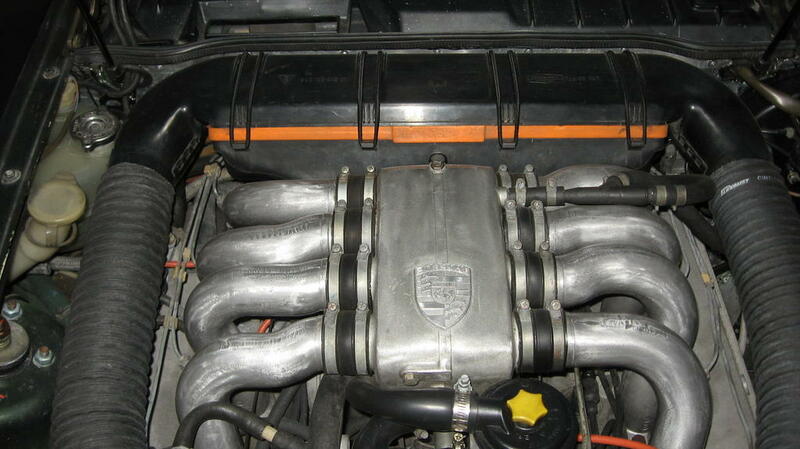 Tomorrow i am going to see if a 911 air box strap would work on my car. that's a stupid price for something so damn simple. I can understand spending some extra on something that takes real engineering work, but an airbox strap? The early straps will not work on the 85 through 95 32v cars - sorry. Current price on the later type is $50.23 - daylight robbery. Roger, I appreciate you looking at the airbox to see if a 911 strap would fit a 32v air box. I might go used or use somebody idea on this posting.